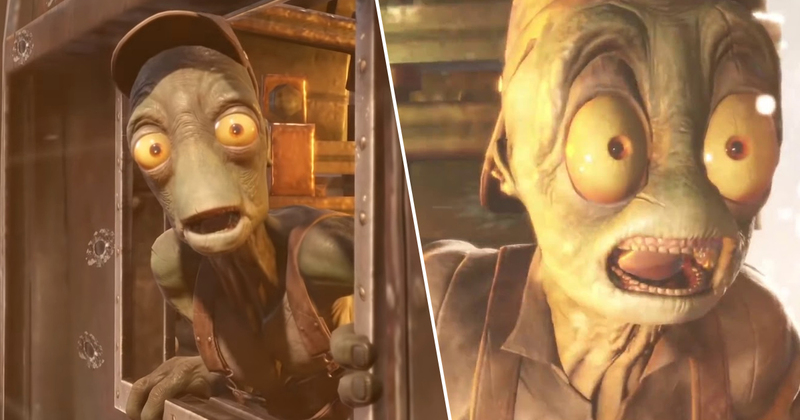 Oddworld Inhabitants took to Unity’s GDC keynote yesterday to show off a very cheeky sneak peek of the upcoming new entry in the series; Oddworld: Soulstorm. While the point of the demo was to show off the fancy new rendering techniques the company is using for its sequel to New N’ Tasty, it’s still one of the best looks we’ve had at the new game, which was first announced back in 2017. I’m happy to report that it looks, sounds, and feels very much like an Oddworld game. Strange characters, unsettling architecture, and a baron yet hilarious feel to everything – this is the franchise we all know and love. Check out the trailer below. While Soulstorm is a direct sequel to New N’ Tasty, which was a remake of the first game in the series, don’t expect this new entry to be a straight up remake of the original sequel, Abe’s Exoddus. Instead, Soulstorm will be more of a retelling of the second game, with tons of new ideas but a selection of familiar faces, locations, and story beats. Witness Abe’s horrifying conflict with a terrifying new machination. A fresh narrative – a complete story retake inspired by our original tale. A big visual and cinematic leap aiming to break new ground for Oddworld. Intelligent new mechanics, twisted new devices enabling highly explosive deviousness. A dark parable that tells an epic tale of a volatile society pushed to its limits. You could probably make a Brexit joke out of that last sentence, but I’d argue that’s fairly low hanging fruit at this point. If you’re interested in digging into the tech side of the trailer, Oddworld Inhabitants has also shared a cool behind the scenes vid, which you can watch below. Oddworld: Soulstorm still doesn’t have a solid release date, but at this point I’m just happy we’re getting a new game in one of gaming’s most underrated franchises.